Are you in search of an excellent towing service Scarborough clients can rely on for their needs? Scarborough Towing Team is an experienced and professional towing specialist you can count on for the fastest roadside assistance. With our 17 years in the towing industry, we guarantee you of a superior level of satisfaction from the services we provide. We take our tasks seriously, and this allows us to meet all of our clients’ needs each time they come to us for help. Many of our clients have chosen to stay with us for years because they realize one thing – that each time they contact us, they always receive the best quality service. This is why each time you call the Scarborough Towing Team, we make sure not to fail you. The towing and roadside solutions we provide are a product of our years of experience, up to date training, and knowledge in the field. Why Choose Scarborough Towing Team? We understand that there are several other Scarborough tow truck companies out there. The main thing that sets us apart from the competition is our unparalleled quality of service. We come to your aid without any delay. The moment you pick up the phone, you can expect us to be at your service in a matter of minutes. This is our way of proving how much we value your safety, your time and your business. By choosing Scarborough Towing Team, you can be sure that you’ll be back on the road safely and quickly as possible. 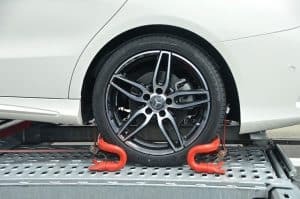 Scarborough Towing Team provides the leading towing service in the area including North York, East York, Markham, Toronto, Thornhill, Aurora, and Richmond Hill. For the finest towing service you need, call us at 647-557-6720 today!